Have you heard of Mario Armando Lavandeira, professionally known as Perez Hilton and how he is secretly making between $200,000 - $400,000 per month from his celebrity-gossip blog PerezHilton.com, that's big huh?... Ok let's come down a little, What of Micheal Woodward of Michealwoodward.co.uk and how he banks atleast $20,000 per month blogging.. His last published total lifetime earnings for February 2015 is $367,798.15 and he started blogging in 2012. These are bloggers like you and we are going to find out the secret of their success they are hiding from you in this post. 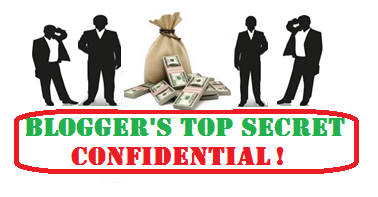 Just like in every business, there is a well kept secret that makes your competitor to get more deals than you do, The same thing happens in blogsphere, there are some secret authority bloggers do not want you to know otherwise you will be better than they are and take up their position in search engine or atleast give them tough challenge. Have you ever thought how some bloggers reach to the height they are today?..... Do you think the only factor that made bloggers like Linda Ikeji, Imra Uddin, Darren Rowse, Chris Garret an authority is because they began blogging early?... well think again! 4. Experiment with different affiliate options. Darren open Problogger.net to help new bloggers achieve success but he is not too happy with rise of many bloggers nowadays which he simply described as "There is a massive influx of bloggers trying to blog professionally so things are getting a bit cluttered"
If you are a Nigerian blogger, you must have heard of Linda Ikeji, the owner of Lindaikeji.blogspot.com and an alumni of University of Lagos. She is face of blogging in Nigeria, Every newbie blogger wants to be like Linda, She reveal in an interview with Yes Magazine that she makes million per day in blogging. Chris started out as a geek programmer trying to make his mark on internet and grow to be who he is today. There is nowhere authority blogging is mentioned that you won't hear Chris Garret name. In his Interview with Jeff Goins, Chris was asked "how do you become an authority blogger — in three steps? Authority bloggers have passion for the niche they are blogging, they love doing it so it doesn't feel like a job for them, therefore they can stay in front of their computer the whole day... researching, learning and blogging. But passion is not enough to become an authority or to be earning enough money, while passion is necessary, it is not sufficient. So top bloggers go for a niche in demand, a niche that talks about what people are actually looking for. Passion alone cannot make you an authority blogger, The old saying use to be "Go for What you have passion for" but now it is "Go for what you have passion for that is in demand"
Most top bloggers don't do it alone, they seek the support of other bloggers who are authority or who are rising stars and they scratch each others back. These bloggers identify themselves and they share their posts in their blogs and recommends each other posts, Have you noticed this before?.... You come to blog of Mr.A he talks about an awesome post he read in the blog of Mr.B and insert a link to it, when you reach to the blog of Mr.B you will equally see one of the post he recommends that you read in the blog of Mr.A, this tactics is called "scratch-my-back and I will do the same". This is just not guest blogging, it is recommedation. So, if you are interested in becoming an authority in your niche, discover those who are rising stars in the niche and gets a glowing recommendation from them. How to get them into your Circle: Send them a message informing them of your plan to partner with them and share the benefits of recommending and sharing each other posts. Authority bloggers does not rely on getting things free..... They spend money to get the best resources they need... From spending money to get the best web design, SEOs, Reviews, Graphics, Advertising, to outsourcing articles to professional. These guys pay for these stuffs. Ofcourse, you can say it is easy for them to do because they are earning enough, but anyone who wishes to earn like them will have to invest money to get infront of the "chasing pack". Don't think that using free template, free SEO softwares, no advertising will make you earn like them. You have to invest when necessary, pay professionals to get the best resources, meet advertising experts to make your blog on top of search engine ranking. Building a real business takes time and people who have the quality to become authority knows this very well, that's why they abide by the saying "Patience is a virtue". They work and wait for their work to start paying off, ofcourse their passion is driving them so they do not quit once the success or money did not come quick enough. They have big goals.... Realistic goals and they know it is not going to happen overnight. Have you read the story of Robert Blackman, it took him 2 years to make his first four-figure income but now he earns atleast $85,000 per month... that's the reward of patience. David A. Nelson has similar story; he makes atleast $40,000 per month but making his first $1,000 took him 18 months and he start pocketing 5-figure income after 2 years. Contrary to what you may think, top bloggers who are authority did not know it all... yet they create quality content, how? They put in hours researching topics to write, the contents of the topics, the demand for the topic, the graphics to use and SEO for the post. They learn to create post with quality over time, and they end up write an epic content. Content that grabs your attention and force you to click on it once you see the headline. They don't write what others are writing, they put a spin to it... why write about "how to start blogging" when everybody is writing the same thing, they put a spin to it and use another headline like "Why you should avoid blogging". Ofcourse, they understand pretty well that once someone visits your post they skim through it to know if it is helpful so they use heading tags h2, h3, bold fonts, italics, graphics to make it easier for their blog readers. The more easier your reader finds your content the more authority you become. Creating a brand is all about giving a business a face people know... ofcourse every authority blogger understands this that's why they are active on social media, Facebook, Twitter, Google+, LinkedIn they interact with others of like mind and help others who need help. Through their social media activities and their forum participation, they were able to create relationship with others online, people they help will see them as an authority and recommends them to others who need help. They make useful inputs in comments, not only in the comments on their blogs but other blogs too using the same name, by doing so, others will be seeing the inputs in comments and come to trust the name. Building an authority blog is not easy neither can it be done overnight, it is a gradual process and that's what you should be targeting from the first day you began blogging, You should design a blog that target a particular target, a blog that people can trust to get help and good information. Your blog should be getting traffic majorly from search engine. very slowly for me. Is anyone else having this problem or is it a issue on my end? I’ll check back later on and see if the problem still exists. Do you feel getting into web development is impossible? Here is how you get past the 3 most likely barriers to getting into web development www.sitewired.com.